About 2 weeks ago we noticed that after the dishwasher finished its cycle, there was a larger than normal amount of standing water in the bottom. There’s always been a little bit of water that remained to be found when I’d pull the filter out to clean it, but this was as few inches above that filter at the bottom of the washer. Never wanting to pay a repair person money to come over and fix something obvious, I set out to see if I could solve the issue on my own. My first thoughts were that either the drain tube was clogged or the drain pump was fried. Looking in at the bottom of the washer, I saw what looked like a float and reasoned it was probably a safety device, such that if the water fills up to high inside, the float rises, turns on the drain pump, and the water gets flushed out. As the remaining water in the bottom of the washer wasn’t high enough to float the float and trigger the pump, I pulled up on the float to see what would happen (in the picture below, I had already manually drained the standing water). After pulling the float up, I heard a couple relays click in, but after that, nothing happened. I didn’t know for sure that anything should happen, but it seemed like it should as relays are used to turn on high powered devices like pumps. So I started taking the washer apart so I could see if I could find the drain pump. On the inside of the door there are a bunch of screws that hold the front panel on. I removed them and learned the hard way that you only need to remove the bottom screws because top screws hold the control panel on, which is a separate piece. After removing the front panel, I was able to remove another cover at the bottom where I could see some inner workings of the machine. 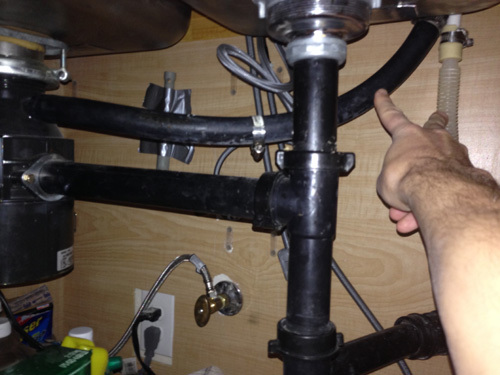 The first thing I saw was the hose and motor in the center of the above picture, which are right below the filter and thus would seem to be a drain tube and a pump. The motor /pump (pointed to in the picture above) was easy to remove. I just needed to push the tab at the top, so I could rotate it out. As I started to do so, water started flowing out, so I quickly put it back and found a pan to catch the water and continued removing the pump. Once I got the drain pump out. I pulled up on the float to see if it turned on. Nothing happened, and again, it seemed like it should. Normally, I would pull out my multimeter and look at the voltage on the pump and see if pulling the float caused a voltage increase at the pumps terminals, which would indicate that yes, the pump motor is supposed to turn on. But I guess I was lazy and I just assumed this was the problem. I searched for the Bosch Dishwasher Drain Pump online and found it was available on Amazon for only about $35. So I ordered it. Unfortunately it was Friday, so the part wouldn’t come until the following week. 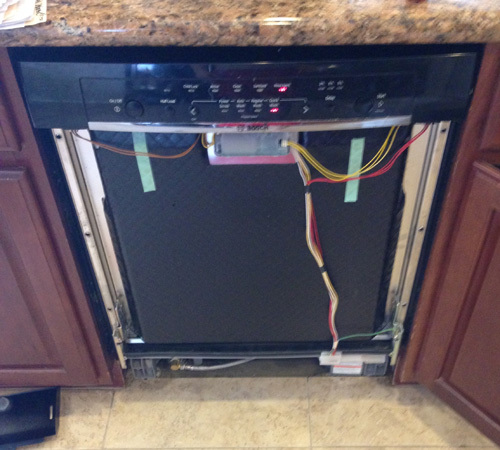 While waiting for the part, I concluded we could continue to use the dishwasher, but we’d have to manually empty the water from the bottom after each cycle. We did that once and after pulling out soapy dishes, realized that since the water couldn’t drain after the cleaning portion of the cycle, the rinse cycle was using dirty soapy water. So we had to run the washer twice. The first time with the soap to clean. Then we (I) would manually drain the water and run the washer a second time, without soap, to rinse the dishes. While it was a pain, we were still able to wash (and more importantly) sterilize our dishes (and baby bottles). The pump arrived fairly quickly on the following Wednesday. As soon as I got it, I excitedly tore apart the washer again and swapped it in. I pulled the float, heard the relays click, and low and behold… the pump started spinning. So I fixed the washer! The washer worked for a few washes, but then a couple days later, there was standing water in the bottom again! 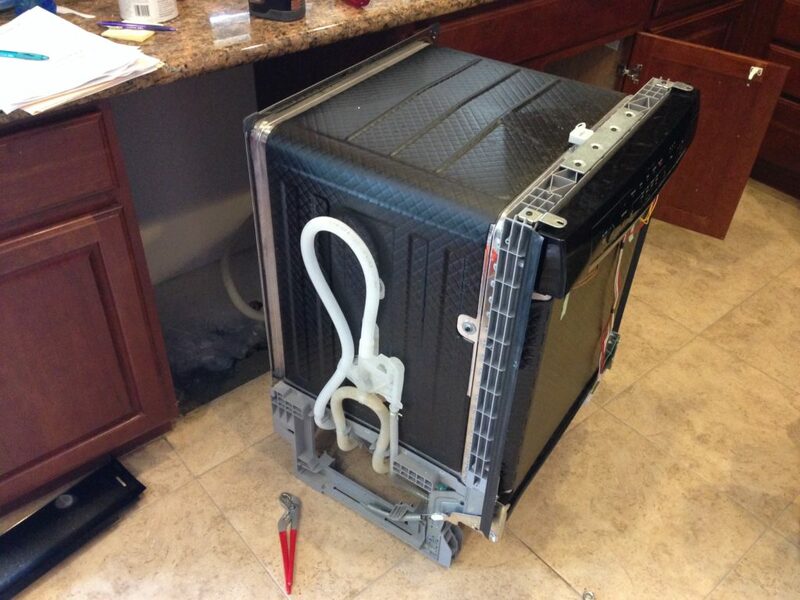 I tore the machine apart and pulled it out, figuring there must be a clog in the drain pipe. 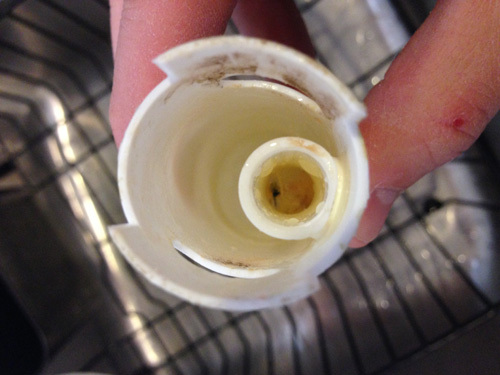 In the picture above the drain pipe is the bottom of the two tubes on the side of the washer. It runs from the drain pump in the front to the back. 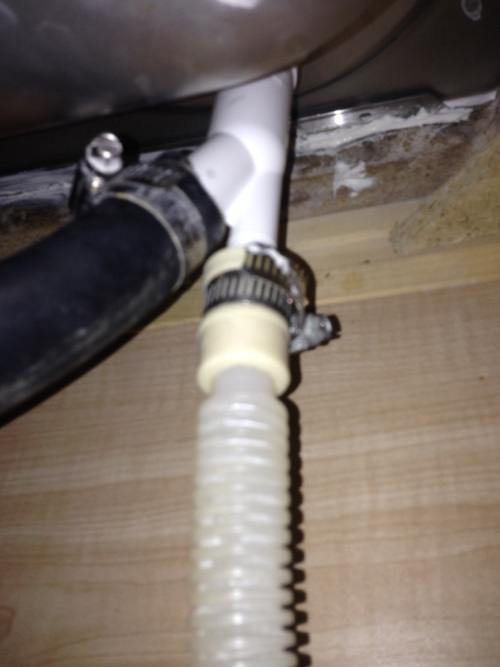 You can see a little of the tube behind the washer which continues over under the sink and up to the “air gap” Y-connector before finally draining into the garbage disposal. I was too lazy to pull all the tubes and check them, so I just removed pump again and the tube from the bottom of the air gap on the sink side and pored some water in it to see if the water would come out at the drain pump. It did, so I decided there wasn’t a clog in the drain tube. 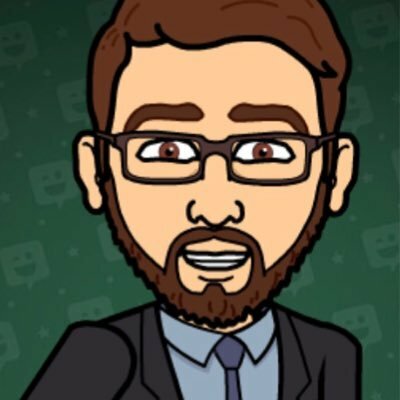 I don’t have a picture for all of that described above or the desire to explain it better, so do yourself a favor and remove the pieces of tubing and check the tubes for clogs. Its pretty easy to do. 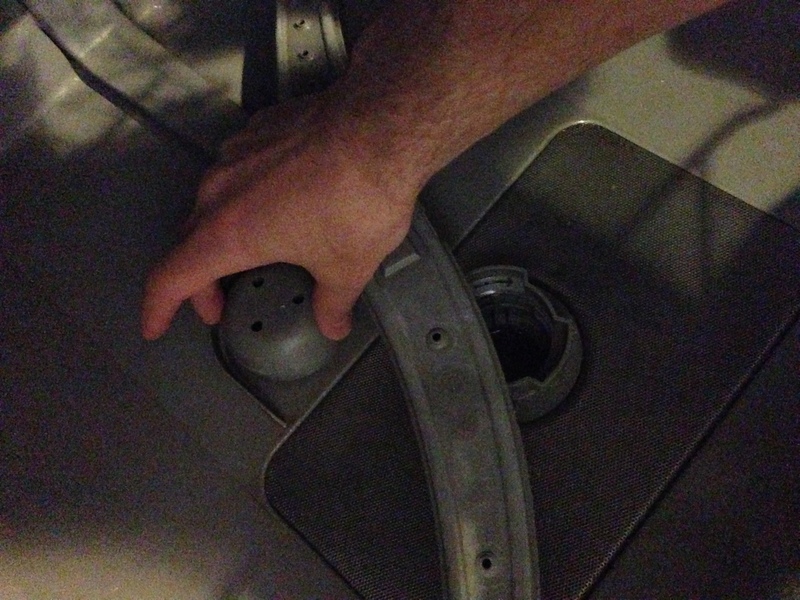 I put the washer back together and felt defeated. I spent the next day mulling over where the problem could be and why it was intermittent. 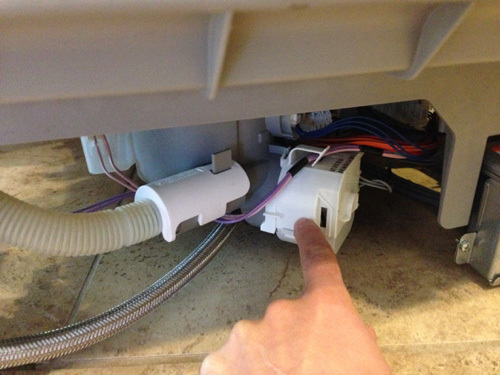 The next day, I pulled the tube that goes from the y-connector air-gap to the garbage disposal, figuring that might be clogged. 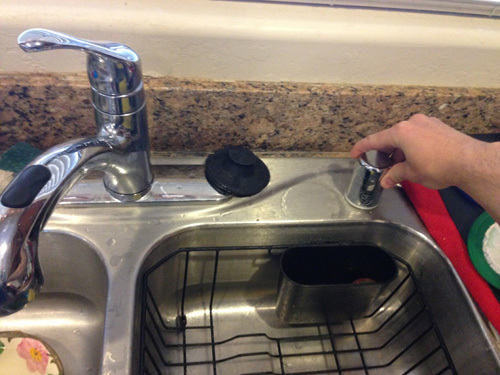 At that time I didn’t understand the “air gap” piece and just figured it was a safety device as it has a hole in it for water to come out, if the garbage disposal was clogged and the water couldn’t drain through it. 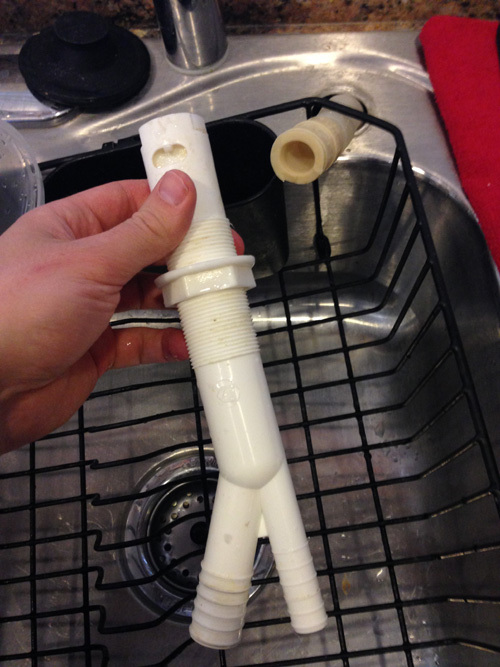 I don’t know why it took me so long to look up the purpose of the air gap (to keep bacteria from the garbage disposal from getting back into the dishwasher). When I finally did, I found out that it easily gets clogged and you could remove the top piece of it to look to see if it was clogged. 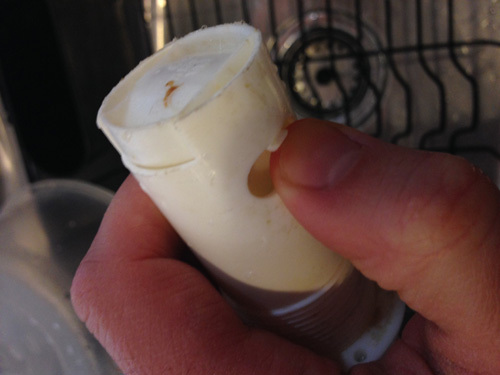 Sure enough after doing so, I found the air gap, on the side of the dishwasher drain tube, was almost nearly clogged. In the picture above, that inner tube should be a hole all the way to the bottom, but it was nearly closed off with gunk. So I cleaned the tube and put everything back together and everything has been working well ever since. 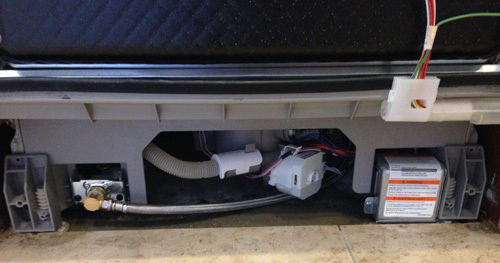 You can buy a new Y-Connector Air Gap for automatic dishwashers for just a few dollars. In conclusion, I’m guessing the clogged y-connector caused the water to not be able to drain from the washer and therefore the pump to burn out. I’m disappointed in my trouble shooting skills. I should have checked that air gap as one of the first things I did. I’ve noticed that lately I’m losing my logic… maybe its because we have a 14 month old (foster) baby that I swear gets stronger by sucking the life out of me.